"the perfect plugin for iterating with tables"
When I discovered datatables, now a couple of years ago, I was amazed! It allows you to create iterazinones in the tables, in a simple and complete way. You can feed txt files, json or simply html tables, perhaps extrapolated with server-side programming language, and he creates tables with a search engine included, with the possibility of sorting, you can insert buttons and program them to do what you want you. And not only that: there are many features, all present and explained with examples on the official website, which I still have to implement. Depending on your needs, you will find the right solution. use datatables whenever you are dealing with tables. Look for advanced features, because surely there is the answer to your need. "Best tabular plugin with jquery"
The best thing about datatables is it is easy to integrate and can customize as per requirement. With the help of jquery it is much more easy to use. It can handle large amount of data fluently and it just don't increate site loading time and paginate large data. Searching option is also best among all other features of datatables, you can search throughout the table or you can add for separate column wise. Datatables is already much more powerfull plugin. but I got issue few times with the styling to table and making responsive to it. While exporting large data sometimes crashes the website. I am using datatables for almost 3 years now, and I got no issue with it. I didn't found any best alternative to datatables and it is working very well. All features datatables are providing are free, so I always recommends to other developers to use datatables, also its integration with Laravel framework is also easy. Generally We use datatables in admin panel of our websites, and we use it for listing entries, users, products, and from there we not only lists data but also update data using post requests on to it. It has easy to export table data inbuilt functionality, which makes my life so easy while developing. "Best in the world J-Query table plugin. [Free also]"
Nothing to dislike about it. It's so easy and powerful. I never found any issue while using it, sometimes it's difficult to debug it but still it's so great in terms of productivity. Also on large data export you will need to tune system a bit otherwise it fails. It's J-query Plugin so you will have to use J-Query anyway. You can't use without it. I personally found debugging it bit difficult. It's very feature rich so you must go for it if you want to show data in table format. Many times export of large dataset does not work. We have used this product on production site for more than 3 years now... No issues till yet. We have used this with Laravel framework... Works flawlessly. We use it in admin dashboard. To show campaign entries. Most of the our campaigns are small but some are vert big still it is able to handle it. User's also like it as it's so feature rich. Many times client request that they only want datatable in admin dashboard... so you must have look into it. "A great option for building tables in record time"
The possibility of building improved tables with options such as filters, orders, paging and responsive design in a very short time. In addition, you can customize all of this with different options, such as choosing which columns can be sorted or filtered between other alternatives. The documentation is not very clear or intuitive, so you will have to search a bit on the Net to find out some answers. Datatables are not easy to use, so the first time can be a little tedious. It requires a bit of time to start of, but if you need to work with reports it will be a good inversion of time. We are using them to show data of reports to the customers and allow them to interact in real time filtering o searching a specific term in all the data that is displayed in the table. "A very good and solid jQuery Datatable"
I love the support and the API. DataTables.net is a core part of the product that I provide to my clients. This product is feature complete. They also provide a Editing control that I have not chosen to make use of. Very basic implementations of DataTables.net can be implemented by even the most basic of Web Developers. It only requires two includes and 3 lines of code. I needed a good solid and easy to integrate Table control that would fit in with JQueryUI. It does what it says and makes that part of my application look good and function well. "Tables on steroids! For Free!" 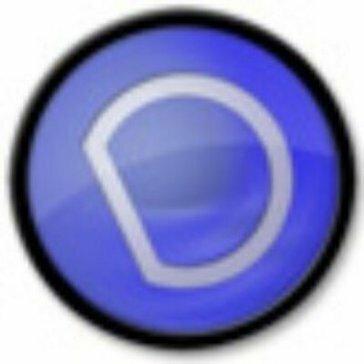 Datatables is FREE! but not's not all! It works great an implementation is really a breeze. No more static tables on your html pages, and setup is pretty straightfoward. Free open source project with plenty of documentation for easy setup. Making static data on html interactive with our visitors online, plus it works on mobile devices. It's an open source project but the documentation is quite complete, and it can grow depending on the needs of your site. But not only that, Datatables also allows to customize the looks of your tables, I greatly recommend it. "Awesome. Simplifies so many usecases"
After processing and summarizing large amounts of data, I often need to display, well, tables of data. Datatables does such a better job than just raw html tables in 90% of cases. It's especially great for getting a MVP of what you want to display and functionality before you even worry about tweaking. Well, it's a lot better than raw html tables, but sometimes I do have to do some work to get the actual tweaks to work exactly as I need to. I think this is definitely an aspect of how many features that datatables has though. It can be tweaked in so many ways, that you have to specify exactly how you want it and that takes some lines of code to do it. You have to use it so you can save lots of time for other things! I usually can quickly show summarizations of large raw tables of data using Datatables which is exactly what I need. Datatables saves me time doing repetitive jobs which means I can get more done. It's the right tool for the job for 95% of usecases. "Data Tables for strategic reports"
I am using data tables to view the strategical data reports of algorithmic trading. Their responsiveness is awesome and they take none or very less time to render and to show the data. We can also apply filters and search any column based on the value provided in the search textfield. Its UI and design is awesome we can make any row clickable. It can be implemented in few lines of codes and it is available for many supportive frontend languages and frameworks like html, bootstrap and angular data tables. It requires little bit of programming languages knowledge to render the data dynamically and to integrate this in the frontend. For large images as column to display the performance is affecting. Need to integrate more reporting related to custom paging implementation in angular js and also need to support the rendering of base64 image. Overall rendering performance is very good. I have tested it for 104 pages with each page having 20 records. To show the real time algorithmic trading data to the decision makers to work on the stock markets. It is also used to show the real time reporting of the companies various share trading in the form of report. We can also filter the data date wise and any attribute wise. Datatable would be very nice for project with simple usages, like small tables with very common needs. Like most solutions, it allows people to quickly setup nice look tables. There are several problems with datatable. When you try to do some customization , the code started to look like alien language. Simple task like custom row coloring can be daunting. There are also performance issue on big tables. We used to display various tables of tickets or tasks. This is quick out of the box solution. Data tables are much faster. Data tables are fast stable. Datatables logic is very much portable. Queries are easy to read in data tables. It is very much similar to SQL. Data tables are not easy to use. Data tables arae fast and it boosts the works and saves time. "Your web tables, on RedBull"
I very much like the simplicity of using it on my web apps. Create a table markup, provide a datasource, initiate the table using jQuery, and viola! A full-pledged table in your web app, with sort, search, and pagination features ready. At the moment, it doesn't yet have the Excel like column filter. It would be very much appreciated if it got included. It really helps fasten development time, and the paid features are really worth the price. Providing the user with easy to use and comprehensible way of showing data. I was using datatables to display data within a website, utilizing ReactJS as the front end. You can integrate it with any technology and also with server side and client side. I love that it’s fast and flexible. There is nothing like it on the market. I was having problems with keeping my events in order. Daratables solved that problem. "Great tool for sorting tabular data"
Very easy to incorporate. The documentation for this product is great and their website provides wonderful examples for incorporating the plugin and customizing it for your website. Some responsive features are not as easy to use sometimes or don't behave as always expected or how you feel it might intuitively work. Great free version of the product. Does what we need it to do. Sorting and searching tabular data. This has helped us make non-responsive sites responsive rather easily,. for older browsers and the functionality it provides when I’m creating CSV files. I wish datatables was included beyond the free trial period. We use data tables to organize and display info from from our data set. It helps us compare and analyze our data. "Great jquery plugin to improve UX quickly"
Simple to use, tons of features - works with jquery. Nothing much to write here. What kind of a monster complains about open source? Do it - it's the best of the similar plugins. We've simplified our dashboard UX quite a bit. "Great for displaying tabular data"
I have used Datatables to display lots of data about degree programs on a client’s website. It was easy to implement and user-friendly on the front end. "Okay but not the greatest "
* We monitor all Datatables reviews to prevent fraudulent reviews and keep review quality high. We do not post reviews by company employees or direct competitors. Validated reviews require the user to submit a screenshot of the product containing their user ID, in order to verify a user is an actual user of the product. Hi there! Are you looking to implement a solution like Datatables?